Off-road driving is always a joy if you prepare your truck perfectly. If you ignore some vital components, the joy may turn into a nightmare. Most of the times, people do mistakes and suffer from their vehicle. Let’s find what Auto Parts Guideline offering you to make your vehicle unstoppable. When driving in the hilly area, ground clearance is a very basic need. 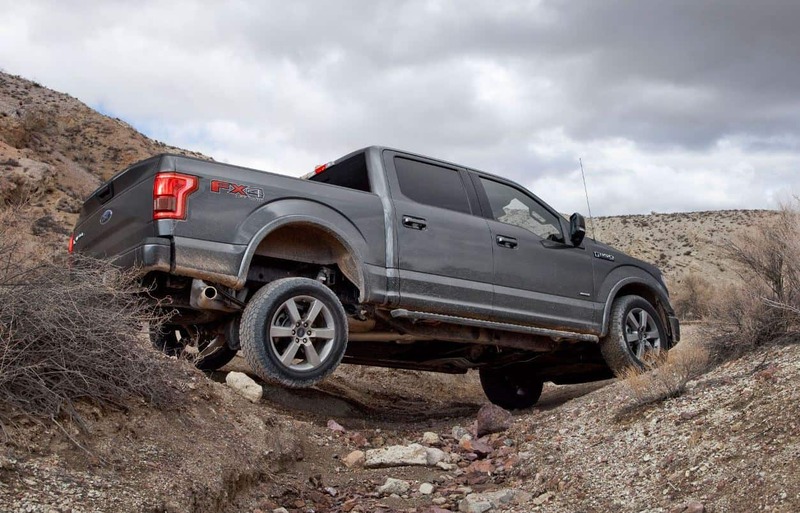 Your stock truck may give you good ground clearance but for extreme off-road driving, you need more. You can buy the complete lift kit for your truck. After installing the kit, you will also be able to use larger tires and wheels. However, you may need to change other suspension components after installing the lifting kit. But, it’s is optional. A skid plate can save your vehicle from any major damage. 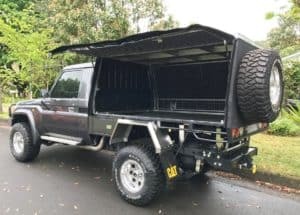 The lower part of the engine and transmission is in the undercarriage of your truck. If any rock hit the undercarriage, it can damage the engine or transmission system. The skid plate will protect the sensitive parts of the truck. It also increases the strength of the suspension. As the plate is flat, it helps your truck to skid over rocks or mud. Moreover, it gives a better look to your vehicle. 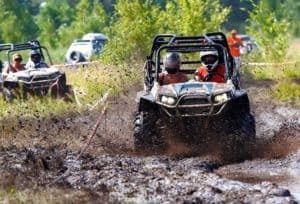 No one wants to get stuck while off-roading. If your truck can’t get out of mud or a rock, you need a winch. It doesn’t cost too much but it worth the money. If you love extreme off-road driving, a vehicle winch is a must. 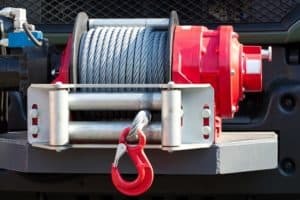 Just make sure the winch has powerful motor and a long rope. Don’t try to save money with the tires. 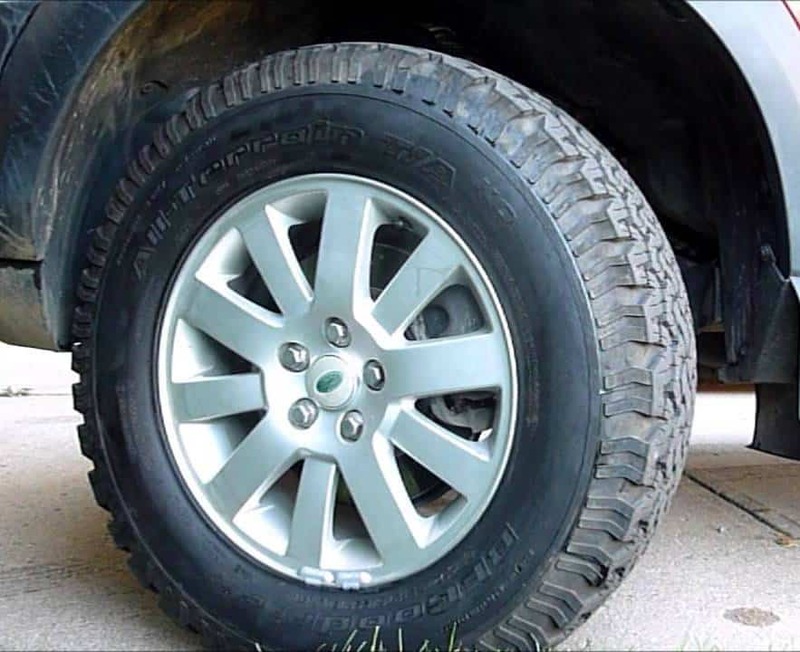 The regular driving tires don’t have the grip you need to drive in muddy and hilly areas. You should choose the tires that have excellent grip and you can drive on any terrain. Before going for off-road driving, make sure the engine is in its best condition. Get a new air filter, and change the spark plugs which will help to get the maximum horsepower out of the engine. You should also check the engine oil, oil filter and transmission oil before going outside. When you are driving in the middle of nowhere, you should carry few essential things like foods, water and sleeping bag. Shop a good sleeping bag and keep it in your truck. Also, don’t forget to take a portable air compressor for tires because no one can guarantee a leak of the tire. For safety, you may also consider taking few tire puncture repair kits. Always, keep a good quality spare tire. It’s not mandatory but good to have a jump starter because the rough weather of the terrain can drain the battery without any previous symptom. Carrying extra fuel may seem a waste of space but it is important. It’s very common to lose the way and your estimated fuel consumption may become valueless. The extra fuel can save you from this danger. You can also use the fuel to get quick fire in your camp. Sometimes a very well planned off-road trip becomes a nightmare. Hence, it’s a must to learn about your truck and the place you are going before starting the journey. A professionally prepared truck can give you mental strength to drive safely in the rough terrain.